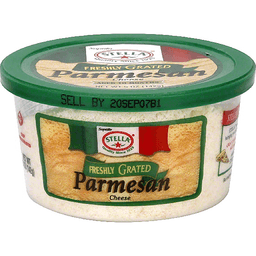 Stella® Freshly Shredded 3 Cheese Italian. Saputo. Quality Since 1923. Real®. Aged blend. Our finest selected. 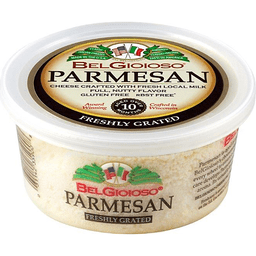 Parmesan cheese, fresh Asiago cheese & Romano cheese. Made from cow's milk. Since 1923, Stella® cheese has a rich cheesemaking heritage for producing the finest artisan cheese varieties. Enhance your favorite recipes with Stella® cheese. Add a finishing touch to pizzas, pasta, or add a lively flavor to salads or soups. Wisconsin cheese. www.saputo.com. 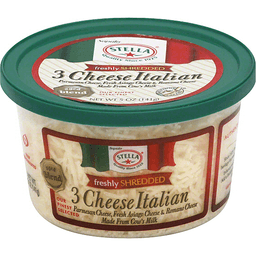 Stella® is a registered trademark owned by Saputo cheese USA inc. Visit www.stellacheese.com for recipes! Quality since 1923. Aged 10 months. Our finest selected. Real. Wisconsin cheese. 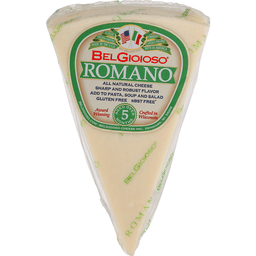 Authentic Italian cheese. Since 1923, Stella Cheese has a rich cheesemaking heritage for producing the finest artisan cheese varieties. Enhance your favorite recipes with Stella Cheese. Add a finishing touch to pizzas, pasta, or add a lively flavor to salads or soups. Visit www.stellacheese.com for recipes! 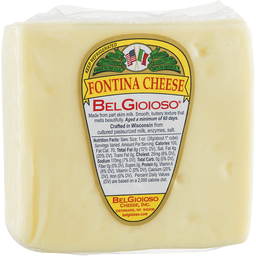 BelGioioso® Fontina Cheese. Classic. Italian cheeses. Say Bel-Joy-Oso. 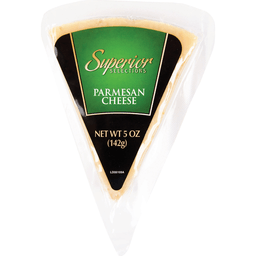 All natural cheese smooth, buttery texture melts beautifully. Aged over 60 days. Gluten free. Award winning. rBST free*. Crafted in Wisconsin. belgioloso.com. *No significant difference has been found in cows treated with artificial hormones. Quality since 1923. Aged 10 months. Our finest selected. Wisconsin cheese. www.saputo.com. Real. 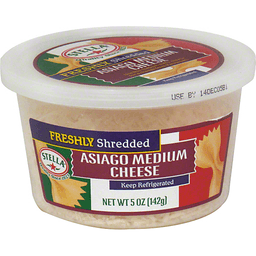 Authentic Italian cheese. 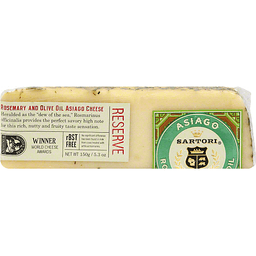 Since 1923, Stella Cheese has a rich cheesemaking heritage for producing the finest artisan cheese varieties. 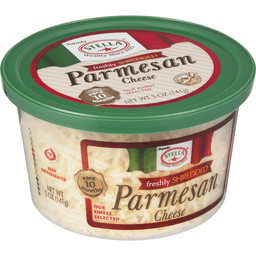 Enhance your favorite recipes with Stella cheese. Add a finishing touch to pizzas, pasta, or add a lively flavor to salads or soups. Visit www.Stellacheese.com for recipes! Aged ten months. All natural. Real. Stella Premium Deli Cheese. Stella has perfected the art of cheese making, bringing you the best in authentic flavor and freshness. 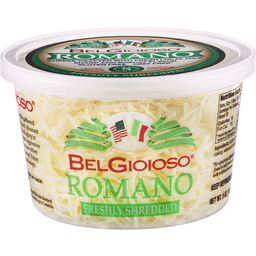 Great on soups, salads, pizza, pasta & more! Add robust flavor to your favorite dishes. 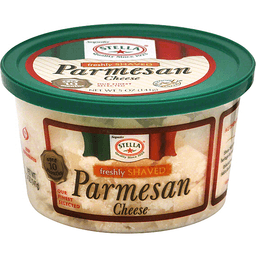 Add flavor to every meal with Stella Premium Deli Cheese! 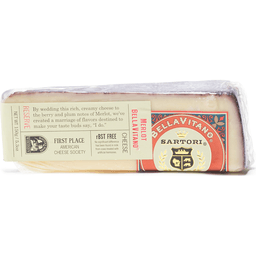 By wedding this rich, creamy cheese to the berry and plum notes of Merlot, we've created a marriage of flavors destined to make your taste buds say, I do. First place American Cheese Society. rBST free. No significant difference has been found in milk from cows treated with artificial hormones. 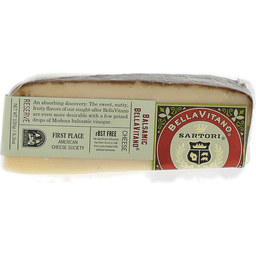 The Sartori family is dedicated to making the best cheese in the world. 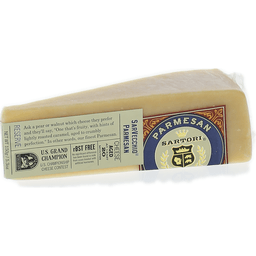 We thank our great dairy-farming families in Wisconsin for sharing their premium milk and conversation with our expert cheesemakers since 1939. www.sartoricheese.com. Wisconsin cheese. Quality since 1923. Aged 6 months. www.saputo.com.